Exploring Europe by train is easy, economical and enjoyable. Europe by Rail is a guidebook featuring fifty great routes, country information and off-beat diversions. It'll inspire you to explore Europe in a way you've probably never done before. The 15th edition of Europe by Rail was published in November 2017. The continent of Europe is a vast land that is rich in diversity, history and culture. There are borders of course, yet Europe by Rail teaches us to see borders not as obstacles, but instead as open doors to new and different experiences. This guide most certainly lives up to its name: it is a most definitive guide, and is packed with all the information that you will need to plan your rail travel across the continent. Do not leave home without it. Europe by Rail is a book of sheer possibility, a love letter to a continent that also tells you where to buy the ring and how to get to the jeweller's. Whether you use it vicariously, imagining trips from the comfort of home, or as an essential part of your travelling kit, Europe by Rail is a wonderful publication, proving that we don't have to fly thousands of miles to find adventure when there's so much to see at our doorstep. 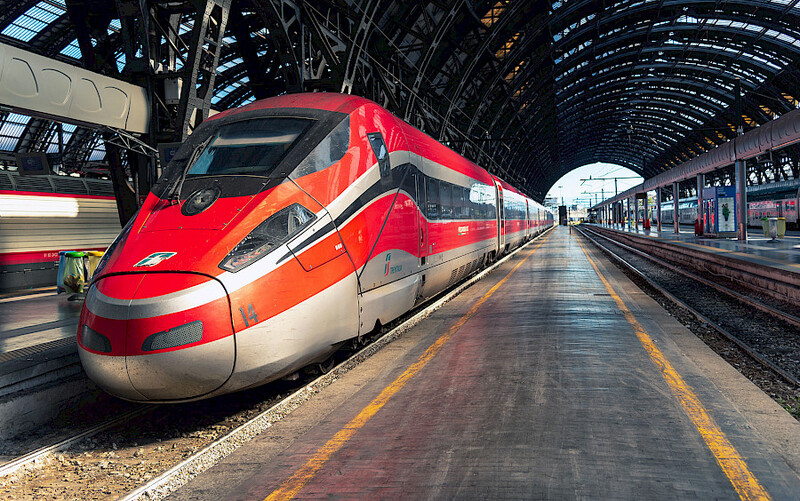 If you’re planning to travel by train in Europe, “Europe By Rail” is your one-stop-shop resource that’s filled with everything you need to know. This fifteenth edition is not just a guide to European train journeys (50 of them) but it’s a cornucopia of useful information about rail travel in general. Even if you don’t intend to travel by rail regularly, there is plenty of in-depth writing to whet your appetite from your armchair. Gardner and Kries have packed this new edition with invaluable information on European train travel. But they have also managed to capture the joy, excitement, and even romance of train travel in what could have been an otherwise dry reference guide. If you love train travel as much as we do, this book is more than just a guide for your bookshelf. Snuggle down with it on the sofa, or pull it out of your bag on a crowded commute home–then promise yourself you’ll use it to discover just how magical train travel can be. Whether you are planning on taking just one or two rail journeys in Europe or will be covering much of the continent onboard a train, Europe by Rail is a must-read. Both rail novices and experienced train travellers will appreciate the tips and information included in the book. This new edition should appeal in particular to members of the engineering profession, always defined by the two parameters of precision and creativity (or passion if you wish). Europe by Rail is resplendent with both. While brimming with the latest thoroughly verified bits of information, it is written with genuine gusto by the people who are not only extremely fond of travelling, but also happen to be accomplished stylists and writers. Can you lose yourself happily within the book’s pages, much in the same way that you would lose yourself in a town or a landscape that you are exploring for the first time? With Europe by Rail, the answer is a resounding yes: not only will you get new ideas of where to go, you will also find stuff to make you see familiar places in a fresh perspective. For anyone planning to embark on a rail holiday in Europe, this guide is an invaluable companion. Even if you’ve travelled extensively by rail across the continent, things change regularly and it’s an easy way to bring yourself up to date. Don’t wait until you leave to buy it. 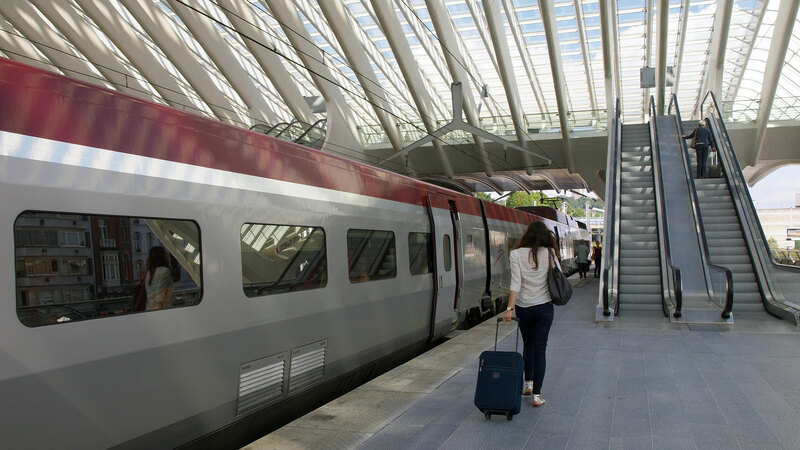 The suggestions for stopovers and detours will help with your planning and you’ll have information at your fingertips about rail passes, supplements, connections and the like. What comes across more than anything is a genuine love of Europe and a huge enthusiasm for exploring different countries and cultures. Living in Berlin, the authors are at the very heart of Europe, and the routes and diversions they suggest give everyone the chance to sample the excitement of having a whole continent spread out before us. It’s a wonderful book – I love the idea of arranging a travel guide around rail journeys, rather than rail journeys merely being included as a means of getting from A to B. Over its 512 pages, it includes some 50 rail routes, which between them do an impressive job of covering the wealth of landscapes, cities, cultures and languages this continent has to offer. Beautifully written, the book is both practical and inspirational. The book is an alluring combination of evocative writing (“Speed soaks up detail as poppies in the fields of Flanders become a red haze”) and practical advice. Subtitled The Definitive Guide for Independent Travellers, it is also a history of Europe in 50 train routes. Wenn es ein Buch in die 15. Auflage schafft, dann ist das schon ein großes Lob. Umso mehr, wenn es sich um einen Ratgeber handelt. Und ganz besonders, wenn der sich um etwas so – vermeintlich – Altmodisches wie Bahnreisen dreht. The most comprehensive European railway guide, this book serves two separate purposes: As an inspiring book to read before you leave on your travels - and an essential guide to constantly refer to when you are actually travelling on the most beautiful trains and railway lines that Europe has to offer. Last month, Nicky and Susanne’s latest project hit the shelves: the 15th edition of Europe by Rail: The Definitive Guide. As both editors and now publishers of the guidebook, Nicky and Susanne have brought their trademark attention to detail to all aspects of the new publication, and as always it is an absolute pleasure to read. Each chapter is peppered with insights into culture and heritage, and practical information for making the most out of a journey. [...] Europe by Rail is a guidebook that proves both inspirational and informative. The guidebook is packed with information you’ll need for planning your train journeys around Europe – be it a meandering trip using Eurail or InterRail or a quick break to just one destination. 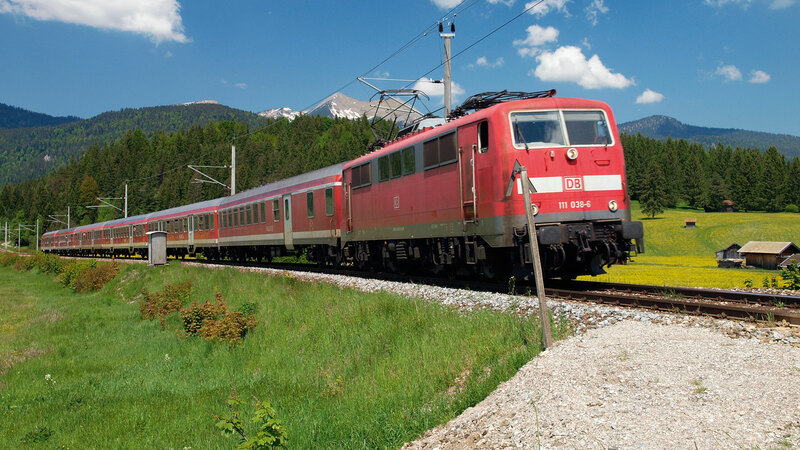 Detailed route descriptions and tips on fares and ticketing help you navigate your way around Europe’s rail network. The authors of Europe by Rail are travel writers and slow travel aficionados. And they are passionate about rail travel. The book captures the essence of each journey. You’ll find facts, ideas and inspiration aplenty in well-penned prose which invites you to hop aboard and discover another side of Europe. Whether you are planning a long journey by rail or are an armchair traveller, Europe by Rail has something for everybody. The book records the sheer variety of European life and landscapes – join us as we watch lakes, mountains and townscapes slip by beyond the carriage window. Most journeys within Europe are of a length where flying hardly makes sense. Modern and efficient rail services criss-cross the continent. Take time to stop off and explore places along the way. Rediscover the joy of being flexible. 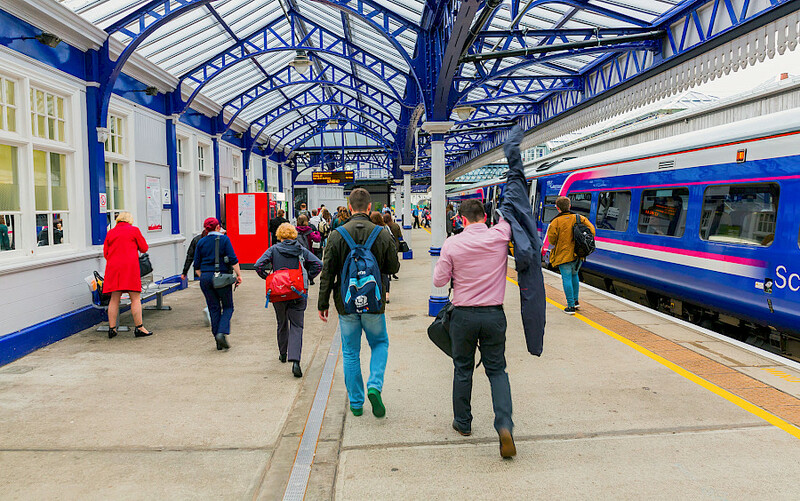 If a station looks inviting, why not hop off the train and see what the town has to offer? 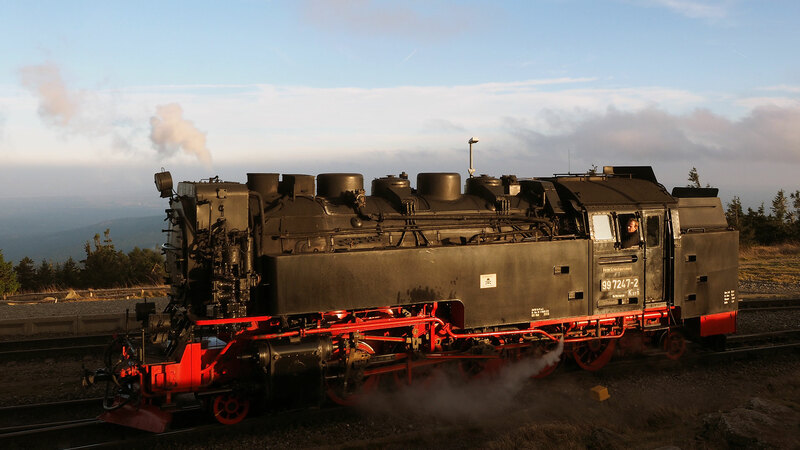 Susanne Kries and Nicky Gardner know their way around Europe by train. The two women, both based in Berlin, are the editors of hidden europe magazine. In their work for Europe by Rail, Nicky and Susanne perpetuate a tradition of writing about rail travel which goes back to Victorian England and the work of Thomas Cook. Keep up to date with new services with the latest edition of the European Rail Timetable. 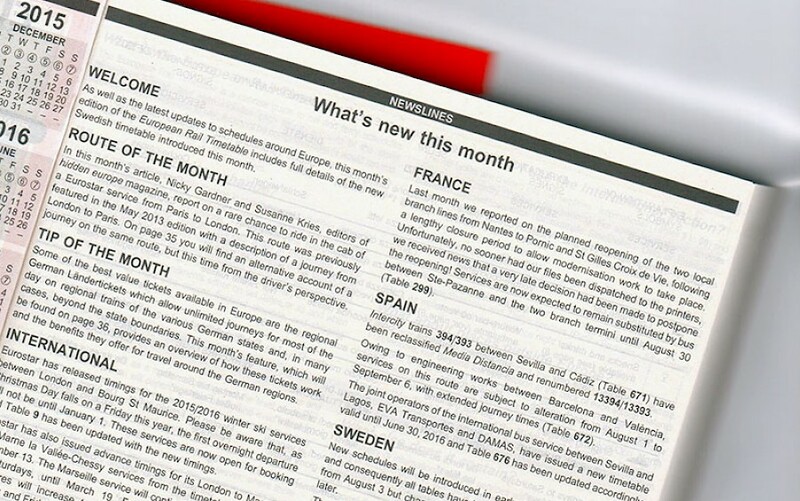 And see our own European Rail News, which highlights what’s new around the railways of Europe. European Rail News is published by the authors of Europe by Rail: The Definitive Guide. Get occasional updates about the brand-new edition of Europe by Rail published in November 2017. Get updates on train services, the announcement of new routes and other rail travel related snippets in our European Rail News section.